Hugh Dennis is a Comedian, Writer, Actor and Broadcaster. Hugh Dennis began his performing career in 1985, as one half of double act ‘Punt and Dennis‘. The stars of BBC Radio 4’s ‘The Now Show’ and BBC Radio 2’s ‘It’s Been a Bad Week’, Hugh along with Steve Punt first found fame over 25 years ago as one half of legendary cult sketch show ‘The Mary Whitehouse Experience’. Since then their reputations as both writers and performers have grown enormously. 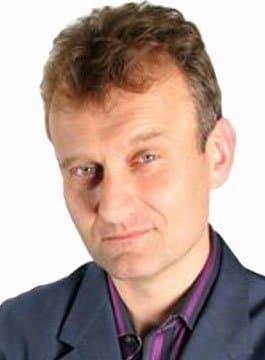 Hugh Dennis currently stars in BBC 2’s hit topical panel show ‘Mock the Week‘, and BBC1’s hit sitcom ‘Outnumbered‘. Hugh is available for after-dinner speaking and awards hosting.